Ramallah, West Bank – Nadin Khasham’s hands shake while holding her phone with the notes app open. As the lights slowly suffuse on the stage, she takes a deep breath and starts reading a poem she wrote in English in front of a consistent audience gathered at the 3Ramallah restaurant. “I wanted to see people’s reaction to what I write, and put my words out there in case someone can relate to my feelings,” she told Al Jazeera after her performance. 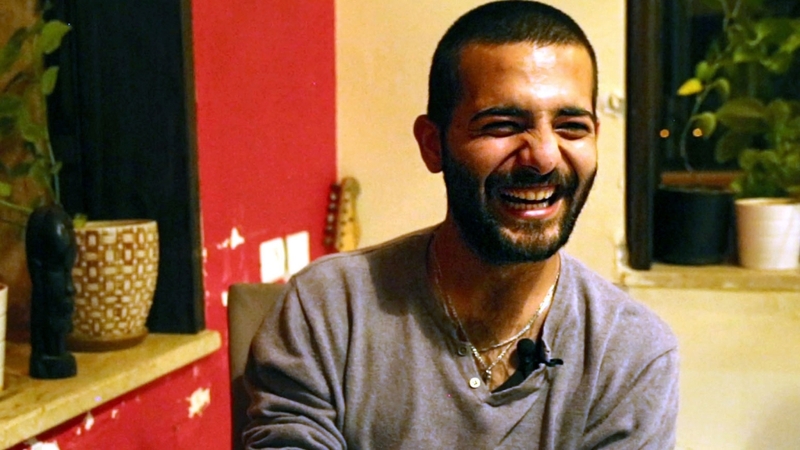 Khasham is an assiduous member of Sard, a growing spoken word community in Ramallah, in the occupied West Bank. Arabic for “to narrate”, Sard was born in 2016 with the intention of creating a safe space for Palestinian youth to express their thoughts and feelings in a non-judgmental environment. The Arab world has a rich oral narrative tradition, which younger generations are trying to reboot with a modern hook, involving theater and music; an example of this growing trend is the increasing number of storytelling circles sprouting around the Middle East, especially Lebanon. Such urban spaces are aimed at encouraging Arab youth to freely express themselves, something they’re rarely pushed to do because of safety reasons, particularly in the occupied Palestinian territories. “Sard is unique because we don’t have any space [in the West Bank] to say what we want. Self-expression is the basis of Sard. It’s the voice of a human,” explains Majd Shehadeh, one of four Sard co-founders. 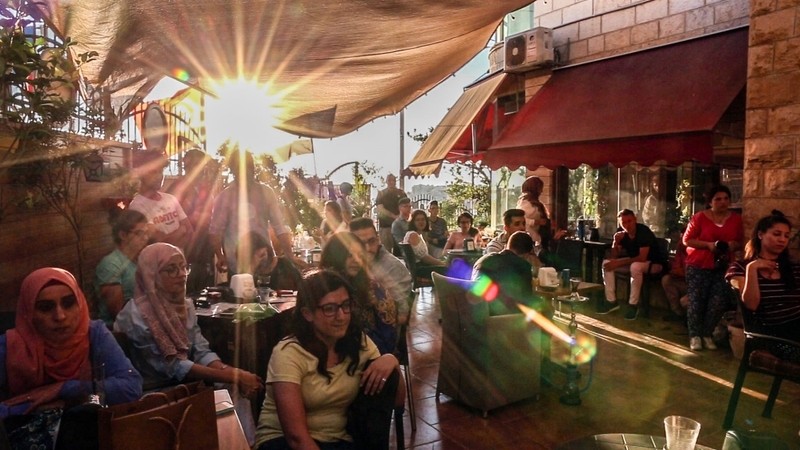 The community gathers every first Saturday night of the month, and locations vary every time, although usually the show takes place in a popular cafe or restaurant in Ramallah, or the Khalil Sakakini Cultural Center, a space promoting and nurturing arts within Palestinian society. Highlighting Palestine’s rich cultural heritage is in fact another major aim of this recently-created platform that hopes to revive local artistic forms of expressions and raise awareness among young Palestinians about their cultural identity, often washed away by conflict and occupation. That’s why, at the beginning of every event, famous contemporary Palestinian artists – from Abbad Yahya to Haya Zaatry – are invited as guest speakers for an introductory speech and a question and answer session to inspire participants. “I think Palestinians need platforms like this for their voice to reach out to other people, other worlds, since I feel we are voiceless because of the political situation. I think this [platform] is very healthy for us,” Khasham says. Sard began with a focus on spoken word poetry, the kind Kahsham performed, although today each performer can decide to deliver his or her story through the mean they deem most appropriate, in Arabic or English. “[It’s a place] for people to say whatever they want, in different ways. It could be painting, drawing, music, rap, poetry, even beatboxing. Anything,” Shehadeh says. The topics tackled include mental health, empathy, social anxiety and common concerns of living under occupation. According to the Palestinian Central Bureau of Statistics, the unemployment rate among Palestinians aged 15-29 was 40 percent in 2017, while suicide rates registered an alarming jump of 400 percent since 2012. “Spoken word is very important to give a certain message to people,” says Waseem Tahoun, a Sard participant since the community’s inception, who began performing his music to motivate the growing number of his friends who started speaking about attempting suicide. “Here in the West Bank, with the hard situation that we’re facing, people get through mental depression, so they need someone to listen to them, to give them a response. If they don’t find that response, they’ll spend all their day stuck in the darkness,” Tahoun says. “It’s important to send a meaningful message through music, poetry or any kind of literature that carries a strong meaning,” he adds. Although the community is a healing space of tolerance and respect to modern Palestinians, it is, at the same time, a space with certain limitations. “You can’t touch certain taboos or declare political views,” Shehadeh says. Some performers believe in fact that certain topics are still too audacious to tackle even in this accepting and open-minded community. Ali Kabaha is a 22-year old rapper whose songs sometimes cover politics and sexuality. He performs almost every month and was never forbidden from doing so, but he said audience members have come up to him at the end of the performance a few times to highlight the fact that he used certain inappropriate words or themes. “There are some boundaries you can’t cross here. I say some words in English sometimes because that way they won’t always follow [the meaning],” Kabaha tells Al Jazeera. “Ramallah is a complicated society with people coming from a lot of different places, who have different ways of thinking, different languages, and different ways of wearing their clothes. It’s different from everything,” Shehadeh concludes. Khaled Samen, another Sard co-founder, adds that they “worked hard to build a community that welcomes the voiceless, the different and the misfits”. Sard founders hope the environment they helped creating will reflect the diversity of their hometown and keep being an inclusive group showing a side of the West Bank no one ever talks about. The open-mic culture in the occupied Palestinian territories is expected to grow stronger in the next months, thanks to new initiatives and new members coming from all over the Jordan Valley and as far as Bethlehem to watch the show. The trend has grown thanks to a modest social media presence but mainly from word to mouth. As the suffusing lights signal the beginning of a new performance, he remains hopeful Palestinian open mic nights will get more resonance in the future.